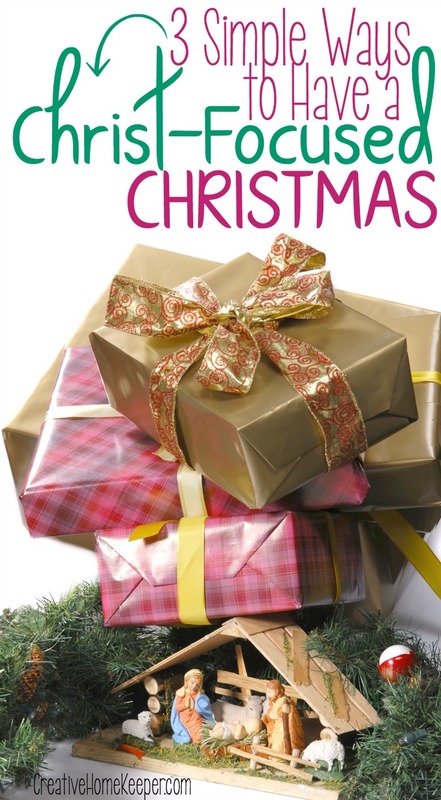 Looking for simple, Christ-focused Christmas activities this year? These 3 easy ideas will point your family’s hearts towards the real reason we celebrate the season. This is a sponsored post written by me on behalf of The Star Movie, in theaters November 17th. All opinions are 100% mine. Every year it seems to get harder and harder to keep our focus on the real meaning of Christmas. 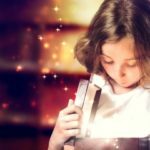 From the constant stream of images of Santa, a tree full of presents, the North Pole, and flying reindeer, there are so many fun and magical things clamoring for the attention of our sweet children’s eyes. And while those traditions and stories certainly have a place, they are not what I want the main focus of our Christmas to be. I want our Christmas season to be focused on the One who came all those years ago. 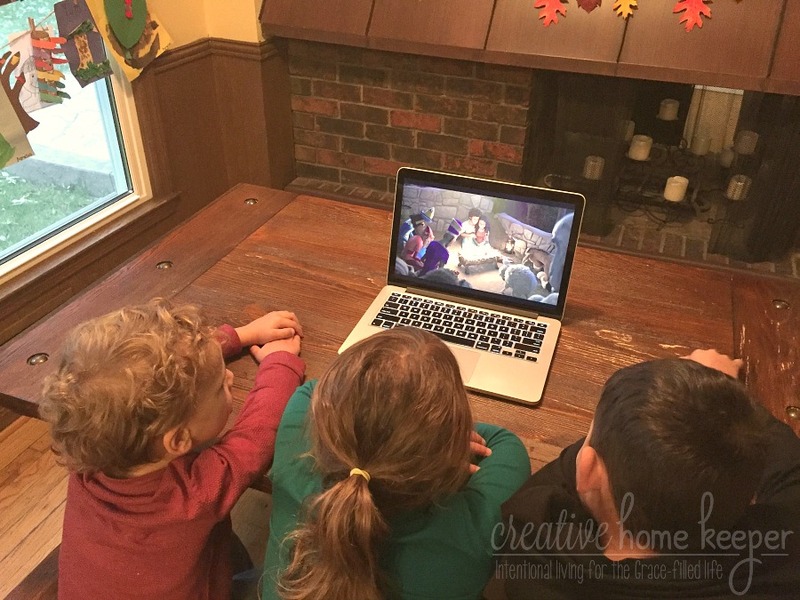 I want my children to be captivated by following the Star as they learn more about the first Christmas. 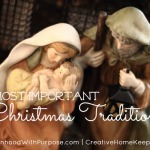 Keeping Christmas simple and focused on Christ requires a little extra attention on our part. We have to put a few plans in place today to help guide our family through the holiday season. This year we are planning 3 simple Christ-focused Christmas activities. 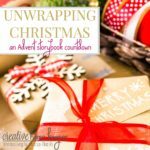 I know how busy our schedule is, so I don’t want to overcommit in planning different Advent and Christmas-themed activities. That will only lead to more stress instead of leading us closer to the wonder of Christ. 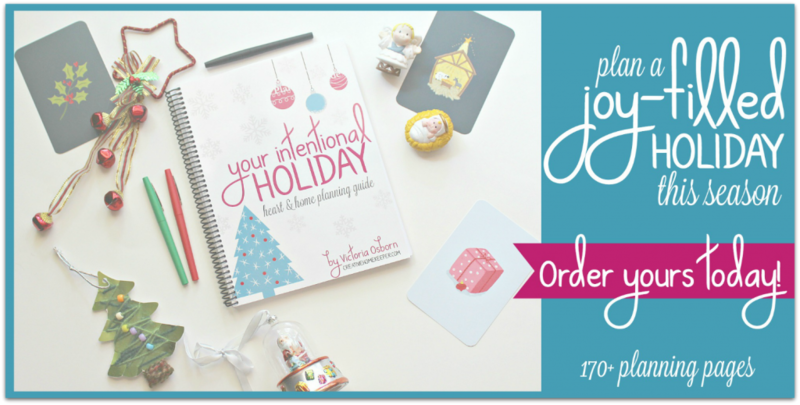 So, this year we are keeping it simple with a few seasonal activities that will point our hearts and minds towards the real reason we celebrate the season. I have always gravitated towards our nativity set, even as a child. Now as a parent, we have several nativities set up all throughout our home as part of our Christmas decor, and I’m constantly keeping my eyes peeled for new sets to add every year. Not only do they serve as decorations, but they are also an invitation for our children to engage with them as well because each nativity set is child-friendly and designed to be played with. This is important when you have small children! Over the past few years of having different nativity sets for our children to play and interact with has led to countless conversations and even precious reenactments! Nothing blesses a mama’s heart more than to overhear your children playing and saying…. Last year we even found a few small sets at the dollar store that my kids played with over and over again. If your kids are crafty and enjoy coloring and cutting, then have them make their own nativity set! 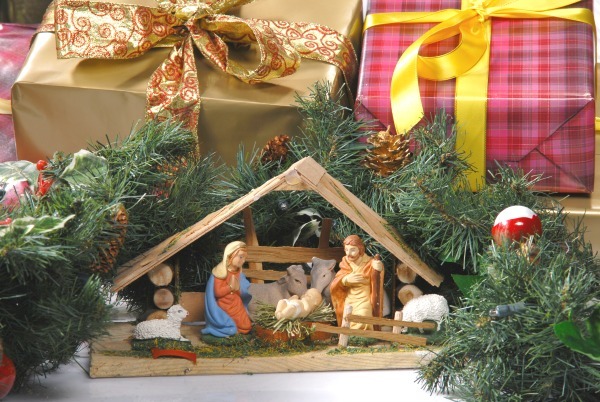 There are many templates for downloading nativity sets to color and cut out online or in Christmas themed coloring books. For my older children, I have printed out the printable diorama manager set from The Star’s website for them to cut out and put together. Another great way to help point your family’s hearts toward Christ this year is to add a new favorite movie to your family’s beloved Christmas movie list. Every November and December usually brings a few new family-friendly movie releases to the movie theaters but this year there is one that I am very excited about. The Star is a brand new animated film releasing in theaters just in time for the Christmas season on November 17th. It’s about the first Christmas told through Bo, a brave donkey, who goes on an adventure with a team of other lovable animals as they follow the star that ultimately leads them to Christ. I’ve already heard from a few trusted friends who have had the opportunity to preview it early and the reviews are so positive! We are so excited to make a new Christmas tradition by heading to the theater soon as a family to view it. My kids have even been requesting to watch the trailer several times in anticipation for seeing it soon! 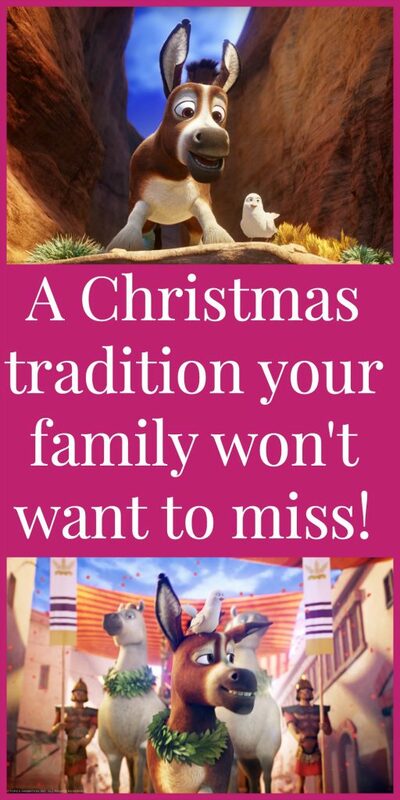 Make a special family fun day where you can go watch the movie in the theaters (what a special treat!) and spend some time discussing the story and the themes together. Check showtimes and purchase your family’s tickets here. After watching the movie, read the Christmas story in your family Bible and draw connections between the film and the story of the first Christmas. There are even several activities you can download from The Star’s website to help continue bringing the story to life in your own home. Countdown to Christmas by focusing on the different names of Jesus that are found throughout Scripture. As we read the Bible together, we are constantly hearing different names of Jesus, so why not spend the days leading up to Christmas focusing on all the names of Christ? Last year I personally wrote the names of Jesus as part of my own personal devotional time so this year I’m taking that same countdown and using it with my children by placing the names in our Advent wreath. Every night when we open a new space on our wreath, they will find a slip of paper with a different name of Jesus on it along with a corresponding Bible verse we will read together. We will add the slips to a chain on our Christmas tree so that by Christmas, they will know 25 different names of Jesus! 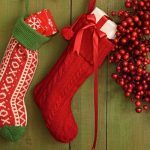 These 3 simple Christ-focused Christmas activities are sure to provide plenty of memories this season, as well as helping to guide our family’s hearts and attention to the real reason for the season. What simple ways is your family focusing on Christ this Christmas?